Our first event at this Certified Forest Therapy Trail location. Let's celebrate the grand opening of the trail! In this program we enter the liminal space of renewed possibility for deepening our connection with the more-than-human world through Forest Therapy and The Way of Council. ​Forest Therapy is the practice of sensory connection to come into intimate relationship with the more-than-human world and with each other. A series of guided invitations bring us into the present moment, opening the doors of communication with the forest, waters, and landscapes we explore. We encounter not just the forest, but through the many mirrors of nature, we also encounter ourselves. The Way of Council is a process of communication with ourselves and each other that supports deepening into our experience. Through council we can discover the meaning of our emerging stories through sharing and being witnessed in circle. Council invites us to become more intimate with our own lives, and support each other as we move through our processes of learning, growing, grieving, and healing. Because it invites authentic expression, council can be quite intimate. Your facilitators will show how the form of Council can create space that is both vulnerable and safe. Restorative Practices build on the Way of Council to create opportunities for exploring and healing harms in relationships. In the Council of Waters and Trees we introduce "Aloha Ropes," a restorative practice developed by Amos Clifford. Inspired by the Hawaiian tradition of Ho'oponopono and other sources, we will use this practice to deepen our relationship with the more-than-human world of nature. Through Aloha Ropes we will discover how the land can listen and speak to us, and through us give voice to its longings, wisdom, and needs. Like Council, Aloha Ropes is a method that can be readily transferred into other settings such as schools and communities. This journey will allow us to sink deeply into the medicine of the forest. Mornings will be spent immersing ourselves in the experiential practices of Forest Therapy. Afternoon Council meetings support the deep rooting of the medicine the forest has offered us. We will experience the brief "light touch" council as it is used in Forest Therapy as well as diving into the deeper practice and learning-by-doing the core skills of council leadership. Who the Council of Waters and Trees is for: We recommend this if you are interested in ecotherapy, forest therapy, and experiencing the Council format. It will emphasize deep nature connection as a practice of connecting with our own wisdom, personal and group insights, and pathways to wellness. ​​ You are curious about Council and/or Forest Therapy and would like to learn more about these powerful connective practices. You are a therapist or helping professional who would like to learn powerful techniques of eco-therapy. 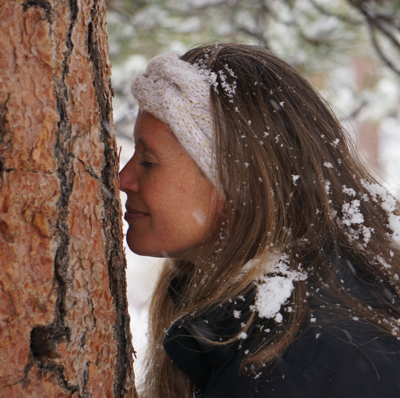 You have a desire to deeply immerse yourself and be held by the healing power of the forest, making time for both self-reflection and community sharing. You are a Forest Therapy Guide/Guide-in-training and wish to deepen your understanding of Council Practice. You are interested in how Council and Forest Therapy work together as a deeply restorative practice supporting wellness of people and the many other species and places upon which we depend. You are considering becoming a Forest Therapy Guide and want to know more about it before committing to the training. Day 1: Arrive in the afternoon and get settled in, enjoy dinner. Meet from 7:00 - 9:00 pm for introductions and orientation. Day 3: 9am -12pm: Guided forest therapy experience. 12:00-2:00 pm Lunch. 2:00 pm-5:00 pm discussion, lecture, experiential activities. 7:00pm - 8:30 pm (optional) join the guides for a discussion and analysis from the point of view of the guide, of the two guided forest therapy experiences. This is highly recommended for forest therapy guides and guides in training. We offer many rooms of all sizes to host you at our farm whether you are passing through or here for an event. All of our rooms and suites include free Wi-Fi, a private TV, farm-to-table breakfast, and access to a bathroom. There is a common room available, a public garden, nature paths, and several free on-site activities. Orchard Loft and the Hay Loft come with a king-sized bed and a private bathroom. Americana Room has an American theme with a king bed, pull-out couch, and a sizable private bathroom. The River Room is a cozy retreat that includes a queen bed, a pull out couch, and a private bathroom. The Garden Room includes a queen bedroom, pull out sofa located separately from the main bed for privacy or lounging, and one private bathroom. Hillside Cottagea sleeps up to six people and is complete with a full kitchen with cooking supplies, a dining room, a living room with one pull out sofa, one bedroom with a queen bed and a private bathroom, one bedroom with a king bed and a private bathroom, and one laundry room for guest use. The Farmhouse sleeps up to 12 and must be booked altogether. Perfect for families or groups as there is a full kitchen including cookies supplies, laundry room available for guest use, a dining area, living room, and five bedrooms totaling three queen beds, six twin beds and three bathrooms. From Atlanta take I-20 East to exit 114. Then north onto 441/129. Take the business route into Madison’s historic square. Go through the square and past the Ford dealership to the Madison bypass intersection. Go straight through and 5 1/2 miles to Greenboro. The sign for the Inn is on the left. Both breakfast and lunch will be at the Inn. Dinners will be up to the participants. The Farmhouse is able to work with any and all dietary restrictions. They will be notified 2 weeks in advance of any these. Breakfast is included with lodging. Lunches will be ordered for each day and will cost about $15. 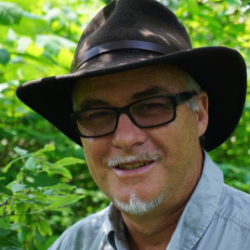 Amos Clifford is the founder of the Association of Nature and Forest Therapy Guides and Programs and author of the best selling Your Guide to Forest Bathing (Conari Press 2018). A student of Buddhist philosophy for over 20 years, Amos founded Sky Creek Dharma Center in Chico, California, where he emphasized the importance of meditation practice in wild places. Amos is also widely known for his work in restorative justice. He is founder of the Center for Restorative Process, where he has led the inquiry into how the principles of restorative justice can inform ways to heal the broken relationships between humans and the more-than-human world of nature. Amos holds a BS in Organization Development and an MA in Counseling from the University of San Francisco. Amos has been the primary developer of ANFT's acclaimed training programs. Christy is a Certified Forest Therapy Guide and Mentor. Her forest therapy practice works primarily through local organizations: counseling services, local and state parks, and ACRES landtrust. Indiana's beautiful deciduous forests are wonderful, all four seasons. She is currently in school studying Environmental Science, with a minor in Religious Studies. Besides her interest in indigenous people's use of plant medicine and the translation of that in to modern herbal medicine, Christy is deeply involved in a personal inquiry around the intersection of faith traditions and forest therapy, and she leads quarterly discussions with guides on this topic. She is the music program director for the local YMCA, a violinist and vocalist. She finds her quiet time in the outdoors to take the star role in her self-care.